JEECE 2019 Counselling will be started from July 2019. 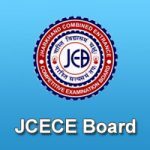 Jharkhand Combined Entrance Competitive Exam is conducted by the JEECEB. It provides admission through its entrance examination followed by the counselling procedure. The exam is conducted to screen the candidates for offering admissions in the professional BE/B.Tech degree courses. Candidates can get the admission in various colleges/institutions of the Jharkhand state. In this article, we have mentioned the JEECE Counselling 2019, counselling schedule,admission procedure, counselling procedure, and some necessary instructions. The candidates are called for the counselling round on the basis of rank secured by the candidate. On the basis of merit prepared category or subjects-wise, the admission will be offered. The admission process is strictly based on the prepared final merit list. Candidates also have to pay the counselling fee to take part in counselling sessions. Candidates have to show the original certificates on the counselling date. JEECE 2019 Cut Off will be announced after the announcement of the result. The cut off is the minimum qualifying marks which candidates have to score to get admission in the engineering colleges of Jharkhand state. The admission is offered on verification of the original documents at the time of counselling. The counselling is conducted in two rounds. After the few days of the declaration of the result, candidates are called for the counselling on merit basis. In the counselling session, candidates have to select the institution and course/stream according to their merit order. If seats will remain vacant, the second round of counselling will be held. The candidate can also take part in this round to change their stream/course. It is mandatory to show the admit card at the day of counselling. If any information about the candidate’s identity will find false at any stage, their candidature will be cancelled or legal action will be taken by the authority. Admit card, Mark Sheet, Passing certificate of 10th or equivalent exam. Admit card, Mark Sheet, Passing certificate of 12th or equivalent exam. Admit card of JEECE 2019. For any other queries related to JEECE 2019 Counselling, you may leave your query below in the comment box. When registration will start for counselling? ???? When registration will be started for jeece 2018? what can i get in 809 rank jeece? What is expected cutoff for bit sindri for general cast.